This summer, NMWA is presenting four exciting exhibitions covering a range of media. Stay tuned for more information about these shows–exclusive interviews, images of the beautiful works, and much more! JuYeon Kim and SCAD student Capucine F. Grow working on Untitled_ci09 (detail), 2010. Photo courtesy SCAD Visual Media Department, Savannah College of Art and Design. JuYeon Kim: The In-Between (opens June 25): Artist JuYeon Kim’s exhibition, The In-Between, is inspired by an 8th-century Tibetan Buddist text. Presented in collaboration with The Savannah College of Art and Design, the two meditative spaces—one fashioned from finely embroidered fabric panels and the other a wooden construction embellished with elaborate textural forms—illustrate an imagined passage between the earthly realm and the spiritual world. Starting next week, Kim will be installing the works at NMWA and we will be posting photos of the progress on Broad Strokes! 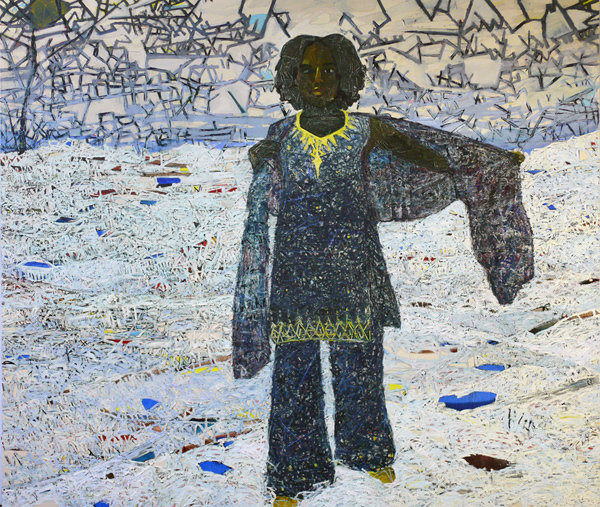 June Wayne’s “Dorothy Series” (opens June 25): Still working at 92, artist June Wayne epitomizes the strength and determination of her generation. 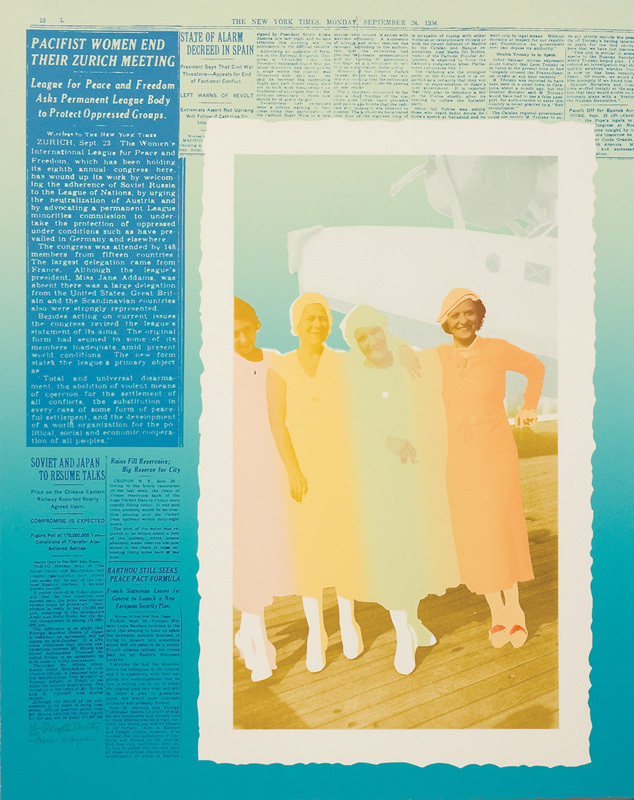 Taken from NMWA’s collection, “The Dorothy Series,” is a set of lithographs created in a hyper-realist style using reprinted photographs, documents, and scrapbook memorabilia. The 20 works illustrate her mother Dorothy’s life as an immigrant, a single parent and a successful saleswoman during the first half of the 20th century. 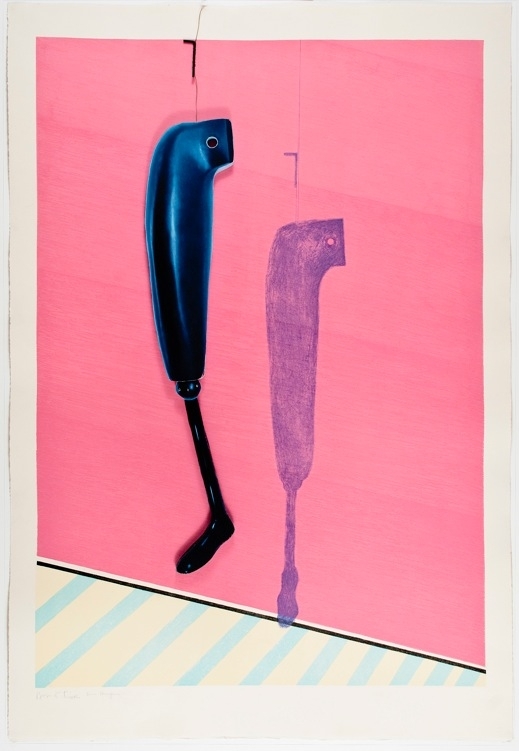 Louise Bourgeois, Henriette, 1998; Lithograph, Iris multiple; 45 1/2 x 31 1/2 in. ; Courtesy of SOLO Impression Inc. The Collaborative Print: Works from SOLO Impression (opens June 25): A selection of more than 50 prints and embroidered works made through creative partnerships between SOLO Impression Inc. founder Judith Solodkin and a number of important contemporary artists including Ghada Amer, Lynda Benglis, Louise Bourgeois, and Nancy Spero. Solodkin was the first woman to earn the title Master Printer from the prestigious Tamarind Institute. Women to Watch 2010–Body of Work: New Perspectives on Figurative Painting (opens July 2): NMWA’s newest installment in the Women to Watch exhibition series centers on contemporary figurative painting. The 16 works in the exhibition reflect myriad styles and approaches, but all highlight figure painters’ embrace of the slow, subtle, and singular processes involved in painting people. Women to Watch features underrepresented and/or emerging women artists from the states and countries in which NMWA has committees.